Hot on the heels of an announced delay of Mario Kart Tour, Nintendo on Thursday revealed a new title for iOS and Android. 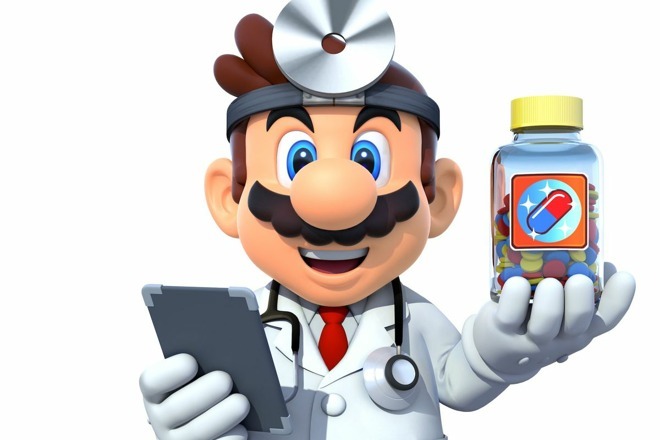 Action puzzle game Dr. Mario World will be released this summer in 60 countries as a free-to-play title with optional in-app purchases. The Tetris-style game will be co-developed by LINE, a mobile development company based in Tokyo. Nintendo has embraced the "freemium" app model after Super Mario Run, a free-to-try app, saw massive downloads but fairly low conversion rates. Since then, Fire Emblem Heroes and Animal Crossing: Pocket Camp have taken a free-to-play approach with optional in-app purchases. The Japanese gaming company has been slow to transition to mobile, favoring its own portable devices in lieu of releasing smartphone and tablet versions that would cannibalize sales. That changed in 2017, when announced plans to build off the success of Super Mario Run by releasing two to three new iPhone games a year. Currently, the iOS App Store hosts four Nintendo games in Super Mario Run, Fire Emblem Heroes, Animal Crossing: Pocket Camp and Dragalia Lost. The company's first app, social networking title Miitomo, shut down in 2018. It's sad that Nintendo's strategy for Super Mario Run didn't work out as much as they hoped it would. A one-time payment for a game is definitely something I'm happy with. I'm currently trying out Civilisation VI's free mode. If I find it engaging enough, I'll spend for the entire game. Having said that, I think the "Freemium" model has been entrenched for games now. It was inevitable that Nintendo would go that way. Look at the kind of money Fortnite made. That's what every game is now going to aspire to. I want Super Mario World on my iPad with my game vice controller! I think the Mario game was a flop because it required the game to be connected to the internet to be use (to prevent piracy on iPhones, I guess) and leaving iPod touch is out of the equation (a kids game, you can't play on kids device). If I can't play the game while commuting or when I have poor coverage hell no I'm paying $10 for that game. Nintendo probably says "people aren't interested on one time payments", I think they are just giving a s**ty experience and service. People aren't stupid, a lot of the game success is about word of mouth and exposure (seeing other people playing the game on the train, streets, etc). I think Nintendo make great games, but they make pretty poor decisions on hardware development, distribution and services.